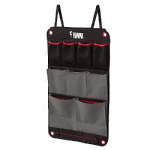 Fiamma Pack Organiser Seat is a practical storage tidy that's ideal for storing various objects, such as maps magazines and toys, thanks to its numerous pockets and large compartments. 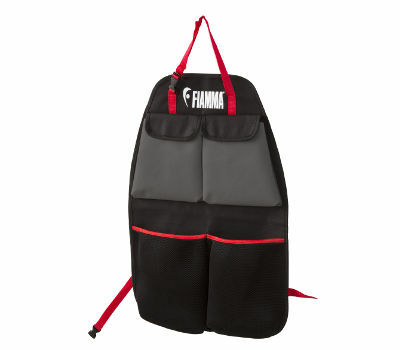 Hangs over the rear of the seat and can be folded up when not in use, taking up very little space. 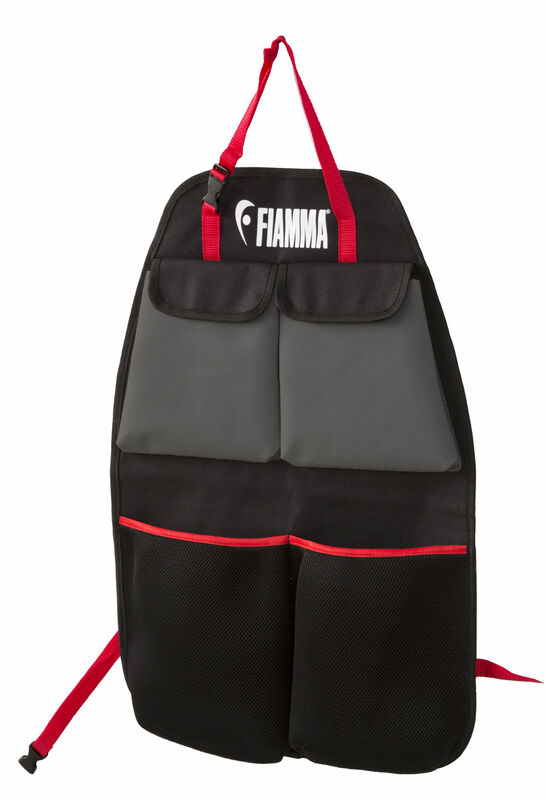 Made of strong waterproof resin polyester and finished in Fiamma red, grey and black. No teddies were harmed during this photo shoot! Dimensions cm: 43 (L) x 66 (W) x 2 (H). Colours: Black & grey with Red trim.